The Crystal Shop Mini Dome, In 2D is a lovely free standing crystal. It's unique shape makes it something that little bit different. This Mini Dome is a wonderful gift for anyone, in either 2D or 3D, it has fantastic results. 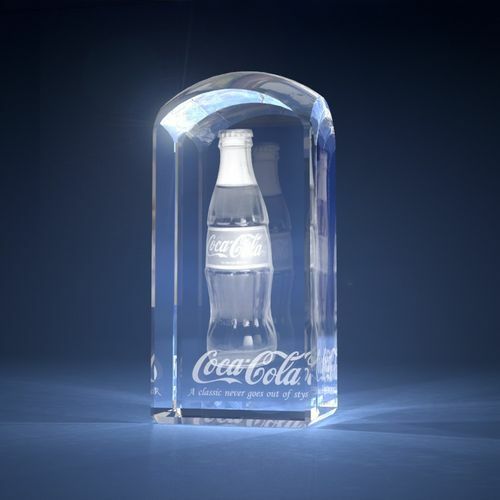 The crystal is very much enhanced with one of our LED light bases.